The Boston Conservatory offers a full schedule of performances by students, faculty and guest artists throughout the academic year. 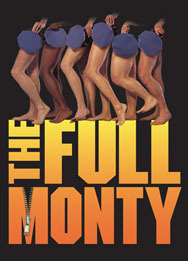 In addition to the popular "Piano Masters" and “String Masters” series, performances of Ravel’s two operas, and a world premiere by former Boston Ballet resident choreographer Daniel Pelzig, the Conservatory will also offer fully staged productions of "The Full Monty" and "The Apple Tree." Unemployed steelworkers in Buffalo, New York, come up with a bold way to make some quick cash. In the process, they find renewed self-esteem and the importance of friendship. Book by Terrence McNally. Music and Lyrics by David Yazbek. Directed by alumna Laura Marie Duncan ’94. Musical Direction by Steven Ladd Jones. Conducted by Peter Mansfield. Choreographed by Michelle Chassé. For mature audiences only. From the songwriting team of "Fiddler on the Roof" and "She Loves Me" comes a unique evening of three one-act musicals about men, women and a little thing called temptation. Book by Jerry Bock, Sheldon Harnick and Jerome Coopersmith. Music and Lyrics by Jerry Bock and Sheldon Harnick. Based on stories by Mark Twain, Frank R. Stockton and Jules Feiffer. Directed by Paul Melone. Conducted by F. Wade Russo. Choreographed by Lillian Carter. The Boston Conservatory trains exceptional young performing artists for careers that enrich and transform the human experience. Known for its intimate and supportive multi-disciplinary environment, The Boston Conservatory offers fully accredited graduate and undergraduate programs in music, dance and musical theater, and presents more than 200 performances each year by students, faculty and guest artists. The Conservatory offers many free performances, as well as ticketed events ranging from $10-$25. In addition, there is a substantial student discount for students from any institution, with valid ID. Unless free or otherwise noted, tickets are available through The Boston Conservatory Box Office at 617-912-9222 or by visiting bostonconservatory.ticketforce.com.